← Election results. New Year’s resolution. This entry was posted in Animals, Family, Food and Drink, Silliness. Bookmark the permalink. 0 Responses to The evidence is unmistakeable. Holli once ate an entire tub of butter. Stupid dog. That’s what he gets for putting it down and wandering off. That’s right, that’d just be the right level of cat sneaky, eating the sandwich but leaving the jalapenos so you’d blame it on the dogs. Yup. We can’t leave food lying around either. My husband baked a batch of cookies a couple of weeks ago and left them on the kitchen counter. We were watching a movie (in the family room, which is really part of the kitchen), and when I got up for a drink of water, I wondered why he had only made half a batch. He assured me he hadn’t. But from the guilty look on Heidi’s face (and the chocolate smears around her mouth), we were able to identify the culprit. Chaos would’ve been all over that sandwich, too. We have to lock the cats in the basement when we are even preparing food. Otherwise its like feeding time in the shark tank, and we don’t have enough elbows to keep them both off the counter at the same time. Funny how no one commented on our beautiful shag carpeting installed in 1975, that still look as gorgeous as the day it was installed! 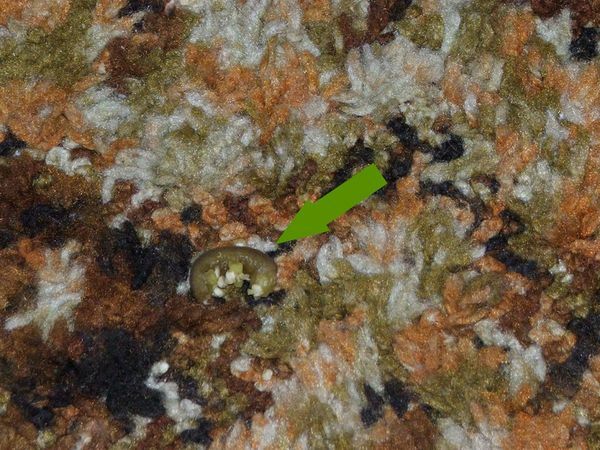 What a great rug for hiding jalapenos!